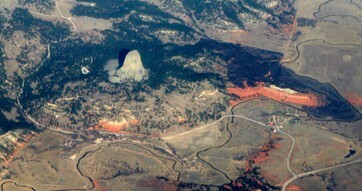 This project is located near Devil’s Tower along the edge of the Black Hills in a remote area of northeastern Wyoming. The site is a Native American antelope trapping complex that includes juniper drive lines that lead into multiple pit traps and corrals. The trapping landscape also has prehistoric camp sites marked by scatters of stone tools and manufacturing debris. We have mapped some of the juniper wings on the trap landscape, but every time we conduct a field project, we find more drive lines! Volunteers on this project will assist archaeologists to survey more of the trap landscape to locate undiscovered trap structures and habitation sites. This is a very unique opportunity, as these types of trap lines are increasingly rare – we hope to see you this August!